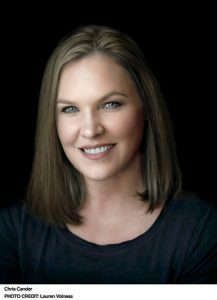 Chris Cander graduated from the Honors College at the University of Houston, in the city where she was raised and still lives, with her husband, daughter, and son. For seven years she has been a writer-in-residence for Writers in the Schools there. She serves on the Inprint advisory board and stewards several Little Free Libraries in her community. Her first novel, 11 Stories, won the Independent Publisher Gold Medal for Popular Fiction, and her most recent, Whisper Hollow, was long-listed for the Great Santini Fiction Prize by the Southern Independent Booksellers Alliance. She is also the author of The Word Burglar, which won the 2014 Moonbeam Children’s Book Award (silver). 1. Why do you think the author decided to open the story with a description of the origins of the Blüthner piano? Did anything surprise you about the piano’s history? What major themes of the novel does this first chapter foretell? 2. How would you describe Clara Lundy? What has she “always prided herself on” (page 13), and why does she refuse romantic advances and offers of help from Peter? What leads to the failure of Clara’s relationships with Ryan and Bobby? What does this reveal about her ideas of love and connection? What values ultimately seem to be the most important to Clara? 3. How does Katya come to own the Blüthner piano? Who owned the piano before her, and what did people imagine about the piano’s former owner? Were they correct in their assumptions about this person? How did Katya feel about the former owner? What did Katya’s father believe about this person’s character, and what made him think this? 4. Explore the theme of memory. What does Clara remember about her parents, their relationship, and their home life together? What were “the moments Clara recalled most vividly” (page 21)? Would you say that her memory is reliable? How are the other characters impacted by their own memories? What might the novel reveal or suggest about the nature of memory? 5. Analyze the treatment of loss and grief in the novel. How does Clara cope with the loss of her parents and their home? How do her new caretakers try “to soothe her” (page 22)? What method seems to be most helpful to her? Where does she learn “how to live with her losses” (page 22)? What losses do the other characters suffer, and how do they cope with these losses and the grief that accompanies them? Are any of the characters able to overcome their grief or reach catharsis? If so, how? 6. Consider the important role that art plays in the lives of the characters. Which of the characters create art, and why do they do this? What was Katya’s first love? Why does Greg enjoy photography? What does Boris believe can be accomplished via dance and performance? How are these characters affected by their proximity to the arts? Likewise, how are the characters in the novel affected by their experience of art created by others? 7. Why does Mikhail insist that the family leave their home in Leningrad and go to America? How does Katya feel about this? What does the novel reveal about the experience of immigration and the American Dream? What does the process of immigration entail? What hardships does the family endure as they make this transition? What must they leave behind? What risks do they take? Is the family ultimately better off in America? Discuss. 8. Why does Boris visit Katya after three and a half years? What does he tell Katya is his “wish” (page 67)? What does he believe is their duty? How does Katya respond to his proposal? What makes her believe that the visit may be a test? 9. Why does Clara decide to sell the Blüthner piano, and who buys it? What does the purchaser say that he wants with the piano? What does he tell Clara he is “trying to depict” (page 74) with the piano? What does he want the piano to symbolize? 10. Who does Katya believe is talking to her once she is in America? What does she hear? Why does she ask her husband if they can visit Death Valley? How does she feel when she looks at the photographs her husband took of her there? What does she believe they reveal? 11. What fable does Katya share with her son Grisha and what is the message at the heart of this fable? What does the story reveal about its storyteller? What does Grisha not realize about the story until he is an adult? 12. What surprises Greg about Clara’s piano when he finally gets to see it in person, and why does it make him emotional? What didn’t he notice in the photographs of the piano at the time of its purchase? Why does Clara decide to follow Greg from this point on? 13. Who does Katya receive a letter from, and what message does it contain? What does the sender tell Katya will change the world? Why is Katya overjoyed after receiving the letter, and how does she offer to repay the messenger who delivers the letter? How does this decision affect her life and the life of her son? 14. What does the novel suggest about how well we can know other people—and ourselves? How well would you say the characters know themselves? How do they come to know themselves better? What causes them to misunderstand others, and what helps them to correct these misunderstandings and come to a better knowledge of one another? 15. What is remarkable about the sailing stones that Greg and Clara see in Death Valley? What does Greg think they look like they are doing? To what or to whom does he compare them? 16. Why was Greg determined to take the piano to Death Valley? What did he plan to do with the piano there? Why does he later change his mind and what does he decide to do with it instead? 17. How are Clara and Greg connected, and how does each respond to this connection? How did Clara come to own the Blüthner piano? What effect does the revelation of the piano’s provenance have on Clara, and how does it influence or alter her understanding of her own past? 18. Why do you think the author chose to include a passage told from the point of view of the piano itself? What effect did this anthropomorphism have on you as a reader? What “weight” (308) does the piano carry? 19. What choices does Clara make at the conclusion of the story? Were you surprised by her decisions? Why or why not? What becomes of the piano? What does Clara mean when she says that she doesn’t “want to be Sisyphus anymore” (311)? Hidden in dense forests high in the Romanian mountains, where the winters were especially cold and long, were spruce trees that would be made into pianos: exquisite instruments famous for the warmth of their tone and beloved by the likes of Schumann and Liszt. One man alone knew how to choose them. Once the leaves had fallen and snow blanketed the ground, Julius Blüthner made the trip from Leipzig by train and walked through the forest alone. Because of the elevation and the brutal cold, trees there grew very slowly. They stood straight and thick against the elements, their grain dense with rosin. Blüthner nodded to the young trees as he passed, occasion­ally brushing their bark in greeting. He sought the older ones, whose branches he couldn’t reach, whose diameters were so great he couldn’t see if a bear were standing behind the trunk. He knocked them with his walking stick, and pressed his ear against them as his intuition dictated, listening for the music hidden inside. He heard it more clearly than any other piano maker, better even than Ignaz Bösendorfer and Carl Bechstein and Henry Steinway. When he found what he was listening for, he marked the tree with a scrap of red wool, which stood out bright against the snow. Then the lumberjacks he’d hired cut down the trees he’d chosen. Watching closely, Blüthner could tell which were the finest specimens by how they fell. Only those with a mini­mum of seven annular rings per centimeter, all evenly spaced, would be carried out of the forest on sleds, then shipped back to Germany. And the finest among these would become the soundboards that beat like hearts inside his famous pianos. As protection against splitting, the logs were kept wet until they reached the sawmill. There they were quarter-sawn to unlock the purest tones, then sawn and planed into uniform planks. The wood chips went into the furnaces to heat the mill and power the steam engines. Because of knots and other imperfections revealed in the cutting, many of the precious tonewood planks also ended up in the furnaces. What was kept was nearly perfect: white in color; light and flexible; the faint traces of the rings densely spaced and running parallel across the faces of the soundboard planks. These raw boards were stored for at least two years, covered and uncovered until their humidity dwindled to about fourteen percent. When it was ready, the wood was transported by horse cart to the enormous Blüthner factory in the western quarter of Leipzig and laid out on racks near the ceiling in hot rooms for many months. But even then it wasn’t ready to become an instrument. To ensure that the soundboard would someday conduct Blüthner’s peerless golden tone, the wood had to dry out for another few years in the open air. It was with reverence, then, in 1905, that an assistant Kla­vierbaumeister selected a number of those carefully seasoned planks and glued them edge to edge to form a single board. He cut it to the proper shape and planed it to the proper thick­ness, flexible enough to vibrate but strong enough to push back against the pressure of more than two hundred strings. Once crafted, it was returned to those warmer rooms to dry further before thin ribs could be applied to its underside, per­pendicular to the grain lines. Then the soundboard took on a small amount of moisture, enough to allow its top to swell into a gentle curve, upon which the bass and treble bridges would sit, their downward pressure meeting the apex of the opposing curve as if around a great barrel. The Klavierbau­meister admired his work: the impeccably matched parallels of the grain, the precise curvature of the crown. This particular soundboard would provide the heart for the factory’s 66,825th piano. The frame of the case was built by other craftsmen, its five back posts sturdy enough to bear the weight of the sound­board and the iron plate. The pinblock was cut and fitted. The agraffes were seated into the plate at a height that would determine the speaking length of the strings, which were then strung; tuning pins were hammered in, and the action set and fitted. Cold-pressed felt was layered thick onto the wooden hammers, thinning appropriately toward the delicate treble side. Dampers were installed next, along with the trapwork of pedals and levers, dowels and springs. The case was ebonized after the guts were in, requiring countless coats. The finishers’ arm muscles bulged above their rolled-up shirtsleeves. Next the instrument, nearly complete, was tuned, the ten­sion of each of the 220 strings adjusted to the correct pitch. Then it was regulated, the touch and responsiveness of the action attended to until the motion of the fingers on the keys would be properly transferred to the hammers that struck the strings. At last, after many years of effort by many expert hands, the piano was delivered to its final station for voicing. The Meister there lifted the linen blanket covering it and passed a hand over the shiny black top. Why should this piano be special? Each one was special, with its own soul and distinct personal­ity. This one was substantial but unassuming, mysterious but sincere. He let the linen drop onto the factory floor. “What will you say to this world?” he asked the instrument. He shaped the hammers one by one, listening to every string, shaving and minutely aerating the felt again and again. He was like a diagnostician, knocking the nerves below a patient’s kneecap, measuring the response. The piano called out each time in compliant reply. Hello, hello. “Fertig,” he said when the work was done. He wiped the sweat off his forehead with his sleeve, pushed the wisps of white hair away from his face. Standing back from the piano, he regarded this complete and brand-new entity that would be—after being played in properly—capable of incredible feats. The first few years were unpredictable, but over time it would open up and gather into itself a unique history. For now it was a perfect instrument, characterized only by its potential. The Meister fluffed his apron as he sat down on the barrel he’d borrowed for a seat and, flexing his fingers, considered which piece to christen the piano with. Schubert, his favorite composer. He would play the rondo of his penultimate sonata, the big A Major; the opening melody was pretty, with a feeling of hopefulness and joy that preceded its more pensive, agi­tated development. This would be the perfect inauguration of the glistening black Blüthner No. 66,825. And he pressed his finger down on C-sharp, the first note of the rondo, listening hard, and it rang out to meet him with the innocence and power of a child’s first cry. Finding it as pure as he’d hoped, he began to play the rest of the sonata. He would send off this shining new piano with as much optimism as he could gather, knowing it would no longer be as vestal once it was touched by its future owners’ desperately human hands. Clara Lundy kicked a step stool against the front tire of an old 1996 Chevrolet Blazer and leaned over the engine, tossing her dark blond ponytail over her shoulder. She unscrewed the cap of the relief fitting and put a shop towel over it to catch the gas that leaked out when she pressed the valve. When the lines were bled, she stuffed the towel into her back pocket and went to her toolbox to grab the 16mm and 19mm wrenches and the quick-disconnect tool. Then, with an athletic jump, she disappeared into the yellow-framed pit so she could work from underneath. She removed the bracket, released the snap-lock fitting, and pulled the rubber hose off the outlet side of the filter first to keep the fuel from dripping in her eyes. She’d learned that lesson long ago in her uncle’s garage and had never forgotten it. After she tightened all the bolts and checked the lines, she went back up to prime the system. She turned the key to On, waited for the fuel pump to kick on and off, then switched the key to Off. She did that a few more times, and sitting there, she glimpsed herself in the rearview mirror and was startled to see that she looked older than her twenty-six years, like she’d aged a decade overnight. Her eyelids, in spite of the little bit of makeup she’d put on, were still vaguely puffy from her cry­ing jag the night before. Her mouth was set so hard that tiny lines radiated from her lips; she’d been clenching her teeth. When she relaxed her jaw, her pale cheeks seemed to sag and her mouth turned down at the corners. There was a smudge of grease across her forehead—probably from having pushed her bangs out of her eyes—that resembled her late father’s birthmark. She looked at herself, at his light brown eyes and pale eyelashes, their matching high cheekbones, and felt a gut punch at this unanticipated image of his face in the mirror. An old grief added to the new. She turned the key all the way, and the Blazer’s engine fired up perfectly. “Clara! Phone for you!” someone called above the noises in the shop: the hydraulic torque wrench and the air com­pressor, the glide and slam of toolkit drawers, the relentless clinking of metal, the ever-present laïko music coming from a grease-covered boom box in the corner, the shouts in Greek and English. She wiped the stain from her forehead with the dirty towel as she walked over to the phone that hung on the wall. Peter’s brother Teddy stopped her with a hand on her forearm. “It’s Ryan,” he said. “You might want to take it in the office.” Who knew what they’d been saying about her and Ryan. Peter’s mother, Anna, could read her face as though Clara were her own daughter and turn an opinion—I don’t think this Ryan is good for you—into a topic for general discussion. Clara usu­ally found herself offering supporting information without even meaning to, and the entire Kappas family soon knew all her personal business. She didn’t mind, though; they were the closest thing to a real family she’d had in a long time. Clara sat down and tried not to look at the flashing caller-on-hold light on the phone. She gazed instead at the framed photos on the wall of the Sporades Islands: the family’s white­washed villa, the curved rock beach, the impossible turquoise water. When she could avoid it no longer, she took a deep breath and picked up the line. “Hey,” she said. She balled the spiral phone cord into her fist, fighting the urge to cry again. Was she crying over losing him? Losing her home? Her own indecision? He paused, they both did, and she wondered if he’d say what he always did at the end of a phone call. You’re my girl—you know that, right? She couldn’t speak. She couldn’t let go. She leaned forward in anticipation, waiting, yearning, yet reluctant to give in. “Good luck, Clara. I hope you figure out whatever it is you want, I really do. I’m just sorry it wasn’t me.” Then he hung up. She held the phone against her ear, listening to her heart­beat until the busy signal began beeping. When she turned around, Peter was standing at the door. She didn’t answer right away. Maybe she hadn’t really loved Ryan after all, certainly not how he wanted her to. But she was used to being with him, to having someone to go home to, and life with him had been easy. “Will you help me move?” she asked Peter. Copyright © 2019 by Chris Cander. A: Unlike my other books, which arrived in my imagination on the shoulders of their protagonists, the idea for this one came from a story. I was invited to speak at a book club’s discussion of my first novel, 11 Stories, and afterward I overheard one of the readers mention that she’d finally found a meaningful home for the piano her father had given her when she was a little girl. She said she’d never learned to play, but felt terribly guilty about getting rid of it. I was immediately invested in that idea—the letting go of a treasured object—and asked her if I could borrow the idea. She said yes, and a book was born. 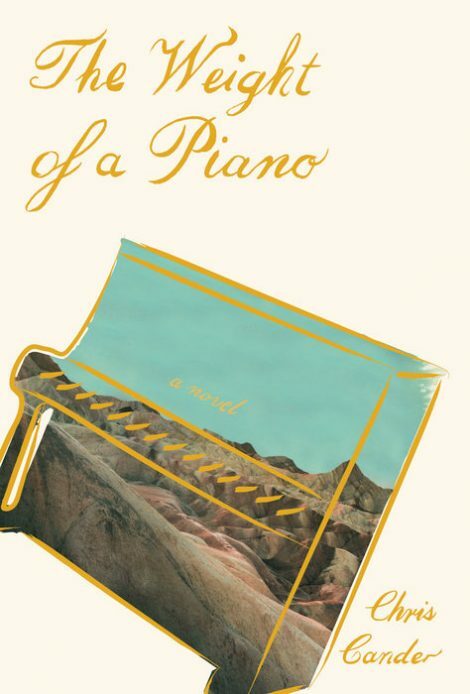 This is the first novel I’ve written where the incipient idea centered on an event (that of a girl being given a piano by her father, who then dies just a few days later) rather than on a character. But even the most compelling events don’t carry a story forward; it’s how the people who endure these events react to them, revealing their unique qualities and, hopefully, something about human nature in general. Q: In The Weight of a Piano, you tell the stories of two remarkable women—Katya and Clara. Can you give us a little background on both? A: First, you must know that I love these women like family, which is true of all my characters. They’re strong and flawed and wonderful and interesting. I felt Clara before I saw her in my imagination; her orphanhood, her solitude, her struggle to create and maintain meaningful attachments to objects and people all came through viscerally. But I also felt strongly that she was a badass, able to take care of herself and suffering no fools in her life. I grew up watching my stepfather, with whom I’m very close, work on cars, so it was natural to turn Clara into an auto mechanic. Even as she evolved in my mind, I still couldn’t picture her, so I sat down one afternoon with the intention of conjuring her image. My daughter walked into my office and interrupted my meditation, and when I looked up, I saw Clara. Katya felt altogether different from the beginning: soulful, physically delicate, intellectual, also as she got older,depressed, forlorn, and increasingly detached from reality. Her strength comes through differently from Clara’s,but they both are capable of enduring and transcending pain, loss, and fear, yet still remaining vulnerable to love in the process. Q: The novel begins with a beautiful and detailed description of the making of a Blüthner piano, an object that we later learn connects both Katya and Clara. What role does music play in both of their lives?And what kind of research did you need to do about pianos and the music world in general for this book? A: I’m not a pianist, but happily I know quite a few. Early on, I knew that Kayta was a Soviet Jew and a concert pianist, and that her beloved piano would need to be special. Eventually I was put in touch with Helga Kasimoff, a Blüthner dealer in L.A. She and her late husband have been helping people import Blüthners from Europe for more than fifty years. We talked for hours. She not only helped me imagine “my” piano—a Czaristera upright with an ebonized case—but also taught me so much about what life was like for people like her and her husband to immigrate to the United States and leave so much behind. From there, I reached out to the Blüthner factory in Leipzig, Germany. Kristina Richards was the marketing contact there at the time, and she answered countless questions about the history and manufacture of Blüthner pianos, enabling me to solve dozens of hypothetical scenarios, and even read a draft of the manuscript to check for inaccuracies. I attended a local piano guild meeting, and interviewed several piano technicians. I befriended another one in the U.K., where Blüthners are more common, and he sent me photos of the inside of an upright he came across that nearly matched mine in the novel. I spoke to four separate piano moving companies. I watched a piano being tuned. Because I knew so little to start with, I needed so much help to write about even the smallest details authentically. The same is true of selecting and writing about the music itself: I read books, watched interviews,and talked to my musician friends. Ripping off the famous Martin Mull dictum, I’ll say this: “Writing about music is like dancing about architecture.” I hope I pulled off my Winter Palace waltz. In the novel, music is secondary to the instrument itself, but there is one piece that plays like a soundtrack to the story and links its two narratives: Alexander Scriabin’s frenetic, colorful Prelude No. 14 in E-flat minor. I wanted a piece that might have been a favorite of the Russian concert pianist who first owned the eponymous piano, and was also unusual enough to charge a moment when it is recognized by another character years later.There was something serendipitous about this piece that I didn’t realize until after I’d chosen it. One of my characters, the son of the original piano owner, is a photographer who describes his purpose in taking pictures as“so that you may hear what it is that I see.” I hadn’t known when I gave him this trait of chromesthesia (a form of synesthesia in which sounds translate as colors) that Scriabin was also a chromesthete. Q: Katya moves from Russia to California with her husband – what was it like to put yourself in the mindset of someone who left home and immigrated to the United States? A: My father was a commercial pilot, so I traveled extensively from an early age. When I was in college, I spent two consecutive summers studying abroad, first in Bourges, France, and then in Madrid. After graduation, I moved to a small town in Venezuela called Punto Fijo, where I lived for a little over three years. It was probably that experience that most informed my empathy for Katya. My neighbors didn’t speak any English, the climate and culture were completely different from my own, and for a long time I felt profoundly lonely. It was easy to imagine how much worse it would’ve been if I knew that I’d never get to see my family again. Katya did her best to fit in, as I did, but she was always an outsider. I’m grateful that I had the experience of being an immigrant, so I could better understand her plight. I was also fortunate to have the compelling input of several Soviet emigrants who were willing to share their stories with me. They provided logistical details and illuminated emotional journeys I couldn’t have imagined on my own. Q: Was it challenging to then change perspectives and write from Clara’s point of view, since her circumstances differ so greatly from Katya’s (living in California her whole life, working as a mechanic and bouncing from one relationship to the next)? A: In terms of narrative, I had to consider which moments comprising each woman’s story were essential to the novel as a whole. So in each chapter I tried to re-enter the character’s life at a point when she encountered some interesting trouble that would inexorably dictate the course of events: when they either braced against or yielded to forces beyond their control, when they made choices with cataclysmic consequences, when they buried their shame and secrets, or when they followed their desires. The two storylines needed to intersect at critical moments, so I was careful in deciding how to unspool them. From a mechanical perspective, I kept track of everything with meticulous timelines and lists. If I changed a date, for example, I’d go back and make sure that everything affected by it was also changed: the characters’ ages, the phase of the moon, the temperature, the day of the week. Q: Some of the most powerful scenes in the book happen in Death Valley. Have you ever been there? What is it like, and why did you decide this is where you wanted to set a crucial portion of your novel? A: I have a canvas print by Clayton Austin, a Texas-based photographer, of an old upright piano in the middle of the Devil’s Golf Course that I look at all the time. So when I realized that one of my characters wanted to photograph the novel’s piano, I knew his shoot had to be in Death Valley. I’m a decent photographer, but I’d never been to the park, and I’d certainly never imagined the opportunities and obstacles that one would encounter there, especially with an upright Blüthner in tow. I contacted John Batdorff, who’d run several photography workshops there. With his help, I put together my characters’ itinerary and started writing. But imagining a setting like Death Valley, relying on other peoples’ photos and Google Earth and travel blogs, is one thing. Actually being there is quite another. I’d already written much of the book when I learned that John and his wife Staci had a spot left in the workshop scheduled for the exact week in November that I planned to have my characters Clara and Greg going there. And out of the three million acres that the park comprises, the workshop included the same places I’d already written about. This felt like fate, so I booked my tickets. I bought a tiny metal pencil sharpener shaped like a piano on an auction site and carried it with me to all the sites where Greg had photographed Clara’s Blüthner in my book. In the photos I took, it doesn’t look like a real full-size piano, but pretending it was certainly made for an interesting exercise. As helpful and necessary as this preliminary work was, it wasn’t until I was actually there that I realized how many essential details I would’ve missed otherwise. I couldn’t have known how long and fairly monotonous the drive was from Las Vegas to Death Valley Junction, or how to buy park passes at the pay station, or how quickly the shadows swallow the basin when the sun dips behind the Funeral Mountains or that you could walk for miles across an ancient lakebed and feel like you weren’t going anywhere, or how heavy those enormous honeycomb chunks of salt are, or what it’s like to stand at the lowest point on earth and crane your neck to see the sea level marker 292 feet above, or that you have to set your jaw while driving on the washboarded road to Racetrack Play to keep from chipping your teeth. I’m so glad I had a chance to experience my characters’ journey there, and hope I managed to illuminate the grandeur of the park in the book. Q: Why did you want to explore the idea of the emotional weight of objects in this novel? A: I’ve long struggled with my relationship to objects with provenance, mostly because by nature I appreciate minimalism and order. But I was born into a family of artists and archivists, and we have a lot of stuff: my grandfather’s countless woodworking treasures; handmade quilts and blankets from the women on my mother’s side; my father’s photographs, souvenirs, and mementos that have been passed down from one generation to another. Part of me wants to preserve everything with the care and love it deserves, and part wants to set it all on fire. So the idea of a woman having only a single physical object—an enormous, expensive, burdensome one—that represents both her parents and her lost childhood fascinated me. I wanted to know what she’d do with it, and then I wanted to know what it might’ve meant to all the people who’d encountered or possessed it before she had. Q: You’re a former firefighter, competitive bodybuilder, current holder of a 3rd dan in taekwondo, and a women’s self-defense instructor. That’s a pretty astonishing resume. Can you talk a bit about your wide range of interests? A: They might seem varied on the surface, but underneath, my interests are very much alike in that they all demand a great deal from me both physically and mentally. When I was younger, I was drawn to activities for which I had a natural aptitude, but then discovered that I couldn’t feel really passionate about anything that didn’t require more of me than I thought I was really possible. Whether this challenge comes in fighting fire, lifting weights, or breaking boards, it’s the discipline and devotion that makes it meaningful. It’s taken me many years to develop my skills in those areas, and I’ll never be an expert; there’s always more to learn. I feel the same way about my writing, where I try to constantly push myself toward the hardest things, to be brave and vulnerable and fearless and reverent in everything I write. Q: What do you hope readers gain from reading The Weight of a Piano? A: I’d be honored if readers could lose themselves in the pages of the book—and find something of themselves there, too.